Dr. Lynn Soots, a positive psychologist, affirm that flourishing is the product of the pursuit and engagement of an authentic life that brings inner joy and happiness through meeting goals, being connected with life passions, and relishing in accomplishments through the peaks and valleys of life. For Martin Seligman, father of the Positive Psychology, to flourish is to find fulfillment in our lives, accomplishing meaningful and worthwhile tasks, and connecting with others at a deeper level—in essence, living the “good life”. There’s plenty of strategies and resources to help you flourish in life but in this post, I would like to concentrate on an inwardly directed process that initiates this journey. What’s behind flourishing despite the challenges that inevitably arise in life? But, what drives us toward the resilience and well-being journey? Our emotions affect the balance and connection of our holistic self. What moves my body? What moves my mind? What moves my soul? How can I keep this positive energy moving consistently? What can I do to improve my body, mind and soul alignment? We can choose what to focus on. In which ways I could set my focus on what I want? How can I make this situation works for me? We may use the power of words at our favor. What words do I repeat to myself? How can I shift and reprogram my habitual self-talk? 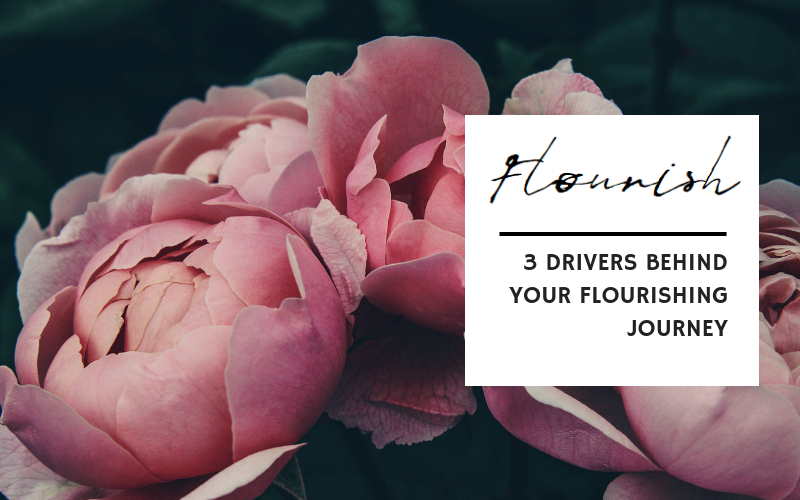 These three intrinsic drivers prime you to commit to living your life to the fullest. You may activate them to start your flourishing journey. Be a soul gardener to have a flourishing life and let’s emerge and bloom!